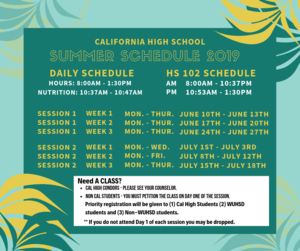 Summer School sign-ups are happening right now for CAL High students. 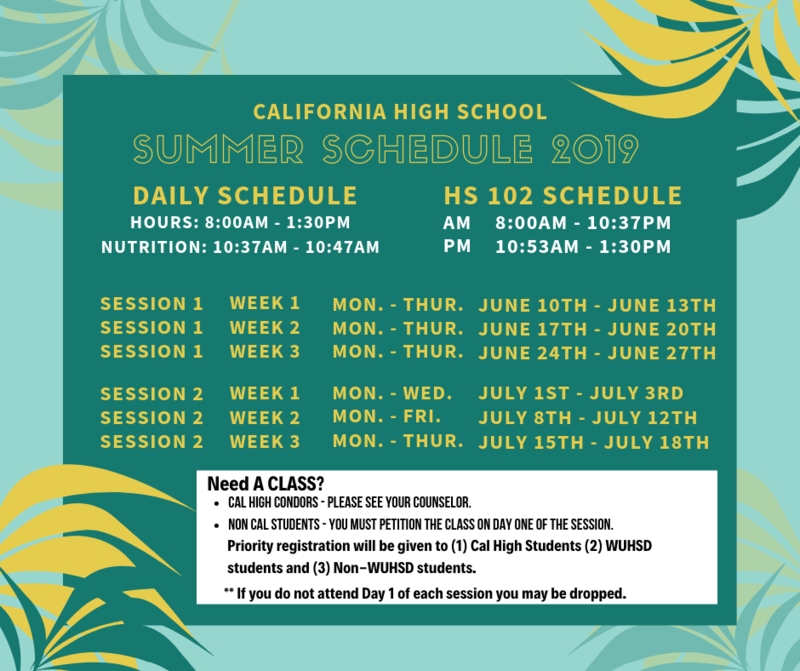 Please see your counselor if you need and/or want a summer school class. Also, please check out the summer school calendar so you can coordinate your summer vacation.